We're revisiting the topic of raising capital because of its popularity. Every network marketing company needs money to launch and grow their enterprise. As an MLM Software provider, we are pleased to have aligned ourselves with industry experts with experience helping new direct sale enterprises to launch successfully. Professionals that can help you raise the money to launch your new idea and grow your company. This month we are highlighting several providers that have great insights on raising capital, specifically for network marketing companies. Go here to jump to our our Website to view all articles. Can startup MLMs sell positions to fund their businesses? Multi-level and party-plan start-ups often struggle to get their ideas off the ground because of the lack of capital. Some of these entrepreneurs stop raising capital when they no longer feel comfortable soliciting family and close friends. Unfortunately, this paradigm overlooks their product fans who are eager to be customers and distributors and help them build the business. Over the past five years we have been able to assist several new network marketing companies with their initial funding. Based on our experience, this type of company is actually easier to fund than businesses using other marketing systems. The reason for this is that the “founders,” initial investors in the company, are able to secure not only equity but top “positions” in the company which can provide overrides over future distributors. Prodigix Software has been providing MLM Software solutions to the Network Marketing industry since 2001. How are you going to set your company apart from the competition? What makes you different? How are you going to get the word out? As an MLM Software provider, we are pleased to have aligned ourselves with industry experts with experience helping new direct sale enterprises to launch successfully. Professionals that can help you position your company apart from the competition by employing better marketing and publicity for your new company. This month we are highlighting a very talented writer and publisher to help you get started with your publicity. Writing and publishing a book for your network marketing company may sound intriguing at the outset, but soon enough you may be scratching your head. When it comes to writing a book, and that includes hands-on workbooks or self-help books for the beginning entrepreneur, you want your book to be informative and easy to understand, filled with plenty of graphs, pictures and other helps for visual understanding, and the best writing to be had--and that may mean hiring an expert editor or business associate to read your book before sending it to the presses. Every start-up network marketing business needs money. The more the better. So, how much do you need? Where do you start? As an MLM Software provider, we are pleased to have aligned ourselves with industry experts with experience helping new direct sale enterprises to launch successfully. Professionals that can help you find initial financing for your new company and capital for your long term growth. To start the year we are highlighting Terrel Transtrum of Launchsmart, a provider who has been a great asset to many of our readers. This article focuses on innovative strategies for raising capital for your startup MLM. Money is foremost in the minds of owners and entrepreneurs who start and run successful MLM companies. Other than acquisitions, loans, or selling part of the company, private entities have been relegated to raising money through private placements which can limit who can invest while not allowing advertisements to attract investors and capital. Those days are fading as we enter a new era of capital. Starting an MLM enterprise is difficult and requires money to get started and grow. So, how much money do you need? What about credit card processing and money management? As an MLM Software provider, we are pleased to have aligned ourselves with several industry experts with decades of experience helping new MLM enterprises to launch successfully. Professionals that have developed money management principles for new MLM companies. They can help you figure out how much money you need to get going and grow. We pleased to provide you with three industry providers this month to help you with money. How much does it cost to Start a Direct Sales Company? Money is in the forefront of the mind of business owners and executives. We talk about money; we think about money; we worry about money. We plan for what we’ll do when we have plenty of it, and we reveal our fears, frustrations, and resourcefulness when we don’t have enough of it. There is much confusion and frustration over not understanding the different fees merchants are getting charged for transactions. Hopefully with the insight Complete Merchant Solutions has provided us on interchange, it will clear what triggers the various fees, and some steps that can be taken to reduce these fees. Starting an MLM enterprise is difficult and leaves no room for mistakes. Like a good game of Chess, each move you make should be governed by an overall strategy, allowing you to focus your time and energy on the correct details. Individual moves that add up to a win. As an MLM Software provider, we are pleased to have aligned ourselves with several industry experts with decades of experience helping new MLM enterprises to launch successfully. Professionals that have developed correct strategies for new MLM companies. They can help you construct a good game strategy, putting you in a position to succeed. We pleased to provide you with two great industry consultants this month, both with similar and contrasting ideas to help you with your MLM company strategy. Your MLM strategic plan will serve as the roadmap for every decision you make in forming and running a successful MLM company. It should be completed early, with careful consideration given to each question. Unlike a business plan (which may be used to attract investors), the MLM strategic plan is for internal use. Complete candor is vital. The Strategic Plan should be reflected in a “living” document that you should revisit, review, and update at least annually. The Strategic Vision is the first concrete step toward creating your complete MLM strategic plan that will bring your entrepreneurial dream into reality. When it is done right, you create a clear picture, a template, of what your company will look like and act like when it is fully developed. From that point onward, everything your company and your people do moves the company toward the vision. It’s not enough for you to have a vision; that’s just the first step. You have to interpret it, communicate it, keep it alive in the minds of everyone in the company and in the field, and keep them moving toward it. A clear written statement is needed. A written statement does two important things: It forces you to think through not only the details of the Strategic Vision, but also how best to communicate your vision in the clearest way, thereby creating an accurate “mind picture” for everyone in your company. Your Strategic Vision should be dynamic, subject to revision in response to major changes and trends. But it should also be stable, not reacting to day-to-day events unless they signal some underlying shift in the company’s situation. Think of it as your company’s version of the US Constitution – regard it with a degree of reverence, and preserve it, but be willing to make changes in response to major shifts that affect the long-term health of the company. Remember, your Strategic Vision is your vision and your dream. It is your North Star compass. Never lose sight of it. Keep it in view and it will keep you on track. Remember big MLM businesses are just small MLM businesses that did many of the right things. But they started from the same place you did, from the beginning. They created stories that became business legends, stories that built a following, an understanding of the spirit of the company. It could be a story like the one about a silversmith from Boston named Paul Revere who made his famous Midnight Ride to Lexington to warn Samuel Adams and John Hancock that the British are marching to arrest them. Along with William Dawes and other riders, he warns the countryside of the British march. He witnesses the “shot heard ‘round the world” as fighting breaks out in Lexington. Company Stories have impact. Any great MLM business has to have a reason for being that touches its customers, employees, and field reps very deeply. That’s what your Company Story is all about. It’s at the heart and soul of why you’re in business. Have fun with it. It will serve as an inspiration to everyone it touches. Not every story needs to be lengthy. It needs to be your story; it needs to be real; and it needs to be told. An MLM business plan is a document that summarizes the operational and financial objectives of your business. It contains the detailed plans and budgets showing how the objectives are to be realized. Many think that the purpose of a business plan is to secure outside investment capital. They are right. And the better plans make it farther if the pictures that they paint illustrate well-researched, knowledgeable preparation combined with an energetic visionary who has a product or service that enough people will buy to make the business worthwhile. Contact terrel@launchsmart.com for a sample Table of Contents of an MLM business plan a client who was successful in obtaining funding. It illustrates the most common elements of a successful business plan. Our approach to MLM forecasting growth and financial results is a two-pronged approach. The first prong is a behavioral modeling of expected behaviors of builders, based on our years of observing and quantifying performance. A good forecast takes into account past performance, but it also looks forward with an eye on what’s different now than in the past. But people are people, and we have learned to rely on some of the basic behaviors in creating our MLM growth models. The growth modeling incorporated into our spreadsheets and software forecasting tools is driven by such questions and assumptions as, “Out of 100 active reps in the month of February, how many will make a business presentation?” and “Of those making business presentations, how many will they make?” These lead to, “Of business presentations (or home parties) conducted, how many recruits / how much in sales will result?” And so forth. These series of “behavioral” assumptions then drive the financial forecasts. Interestingly, the one we find ourselves watching most carefully is the cash flow statement since it is the predictor of how much cash / credit we need access to at any given time in the company’s growth cycle. It’s the key to not “outgrowing available resources” which is one of the primary causes of failure. Most MLM startup companies enlist (or should enlist) the support of a marketing firm. This firm will help develop your company and product/service names, logos, packaging, branding, sales tools, advertising strategies, websites, etc. This firm will be one of your most important strategic partners. You will find that the degree to which they will be able to effectively help you will depend upon how ready you are to help them to understand you, your products and services, and where you want to take your company. Having viewed the tremendous international MLM success of companies such as Avon, Nikken, Amway, NuSkin, Mary Kay and Tupperware, many owners of startup Network Marketing companies are tempted to go into international markets immediately. The short answer is "don’t do it.” Starting a successful Network Marketing company is a daunting and complex task, a process that should be perfected one step at a time. For most companies, it is important to first develop a working model in the United States or country of origin. Mastering the marketing plan, establishing distributor and customer service departments, refining the support technology, etc. are best accomplished in one country, with duplication and adaptation in foreign markets to follow once the machine is working in the home country. In addition, it is important to cause distributors to first focus their efforts in one market rather than ineffectively diluting their efforts in multiple markets. Of course, all rules have exceptions, and if your company is a multi-billion dollar conglomerate with worldwide retail stores or international catalog operations, the resources may be available for a multi-country launch. For the "small guy," the logical progression from the U.S. is to Canada, Europe, Australia, Asia, Mexico, and South America. When working at Melaleuca, LaunchSmart™ co-founder Terrel Transtrum tells that he learned early on that other direct selling companies were not the competition. For Melaleuca, the competition was Proctor & Gamble, the personal care and home products giant. As you become aware of the strengths and weaknesses of your competitors, you will grow strong and confident. If you are keenly focused on your unique differentiators, the primary one being your culture, you will find that the game of growth will be challenging and fun. Why are some network marketing and party plan companies successful while others struggle? Are the successful companies following specific strategies? If you follow the same strategies, will you be successful, too? If success was that simple, we would all have it. The reality is that direct selling companies are complex organisms and no two are exactly alike. This means that following all of the strategies of another company will not produce the same results for your company. So, what can you do to have a successful multilevel marketing company? You must first start by following the golden rule of direct selling. as easy, lucrative and fun as possible. While this golden rule is simple to recite, it's not as simple to follow. Network marketing and party plan companies on occasion make decisions that cause their independent representatives to feel confused, frustrated, or angry without realizing it. Your independent representatives are not just your salespeople. They are also your customers. Remember to always treat them like customers first! Like all customers, they are free to do business elsewhere. While you sell products or services, you are also in the business of providing an income opportunity. Much like a franchisor, the success of your business depends on the efficiency and effectiveness of the systems you are asking others to follow. How welcome your independent representatives and their customers feel when they interact with your company is directly related to your longevity and your rate of growth. Successful direct selling companies stand out from others because their culture is not only welcoming, but also supportive, informative, and nurturing. How well your products or services perform is equally important. Interestingly, the success of all direct selling companies depends on the retention of failed independent representatives who stay with you as customers. In other words, if you are selling products that are purchased only by representatives who are making money through your income opportunity, when they quit working, they will also quit buying. If you look carefully at the most successful network marketing and party plan companies, you will see that a significant percentage of representatives who have not built a downline or who are not building their businesses any longer are still buying products from the company. Would you like to know more about what you can do to have a successful network marketing or party plan company? If so, I invite you to request a free copy of our special report – 20 Secrets of Successful Direct Selling Companies – at http://www.sylvina.com/20-secrets.php. For even more information, I recommend out insightful book, Start Here: A Guide for Starting Your Own Home Party Plan or Network Marketing Company. You can view the Table of Contents or obtain your copy at http://www.sylvina.com/start-here.php. Lastly, I invite you to meet with us at the best MLM and party plan startup conference in Las Vegas on March 8 and 9. For details on our conference, visit http://www.directsellingedge.com. 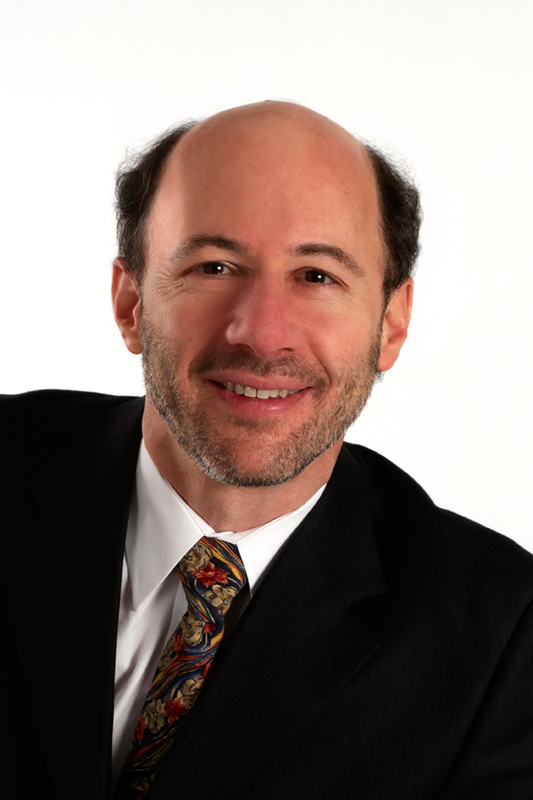 Jay Leisner is the President of Sylvina Consulting. For 25 years, Jay has helped to launch and grow network marketing and party plan companies. To contact Jay with your questions, call 503.244.8787 or email jay@sylvina.com. Get ready for the re-launch of http://www.StartYourMLM.com in March 2012! Starting an MLM enterprise is difficult and leaves no room for mistakes. You need to learn from those who have gone before you, veterans who have mud on their shoes. You don't need to repeat the mistakes of other start-up companies if you are ready to learn. As an MLM Software provider, we are pleased to have aligned ourselves with several industry experts with decades of experience helping new MLM enterprises to launch successfully. Professionals that have been there before, many times as an independent distributor and also running successful MLM companies. They will help you put all the steps in order, putting you in a position to succeed. This year topics for our newsletter will be progressive, each step preparing the next one, so you will understand the direction to go with your new company. A road map. This month we start with MLM Business Foundations. Over the years, direct selling has primarily consisted of two distinct models: “home party plan” and “network marketing” models. Each has a sales force comprised of independent representatives that earn commissions and bonuses from sales of products. However, the key differences in the two models can be found in product margins, sales methodologies, consumer and seller characteristics, compensation models, and terminology. Both types of companies feature “multi-level compensation” (MLM) of one type or another, paying sales representatives for sales produced as a result of managing and leading sales representatives in various levels of the sales organization. Much like local, regional, national, and global commissions that flow through the traditional sales organizations, these multiple levels also exist as incentives for the small percentage of skilled, driven, visionary leaders who get out of bed each day and get the job done. The differences in the two models begin to appear in differences that appear in a spectrum of product selling methodology, ranging from a retail foundation (where products are discounted to the seller who makes a markup plus smaller percentages on overrides) to the other end of the spectrum which is considered to be a “consumption” model. The consumption model typically features an MLM compensation plan and product that is consumed on an ongoing basis (for example, nutritional supplements) and the selling often occurs as a one-to-one presentation. Home party companies are characteristically designed to support highly social gatherings, usually of women, who share much in common as they come together to support a friend who may be “hosting” the gathering (or “home party”) in exchange for free products and discounts. The Direct Selling Association (DSA) reported that in 2008, the average home party consisted of 8 orders at an average of $54 per order, or $432 in sales per home party. Of course, these are averages, and some companies report home parties generating as much as $800 to $1000 or more per party. MLM companies are characteristically designed to support one-to-one selling, have a higher percentage of male representatives, and can sometimes be identified by more complex compensation plans that sometimes appeal to analysts and engineers. Companies typically consider each active account worth $100 per month in sales on average, though they often incorrectly classify all accounts as “independent representatives,” where in fact the largest majority are customer accounts (using the definition of customer as someone who merely purchases and consumes products but who does not recruit other customers or builders). Both types of companies find themselves in safe waters when they focus their efforts on finding and developing customers. At first blush, this may seem obvious to the seasoned business person, but in a business-driven direct selling model, some view the prize as being “builders” and those who pursue their careers as recruiters who love the hunt and thrill of finding people to “sign up.” In reality, the prize goes to the company that focuses on delivering genuine value to customers who value the products and services whether or not there is an income aspect to the package. Multilevel Marketing (Network Marketing) or Multilevel Compensation? Multilevel Marketing (Network Marketing or MLM) is the common name for network marketing. We teach that multilevel compensation is paid in network marketing and home party plan companies. Multilevel compensation is a compensation framework through which flows percentages of sales based on pre-determined qualifications, paid in multiple levels in the sales organization. Its appeal is found in the opportunity that representatives have to receive compensation not only on their personal sales, but also on the sales volumes of others in various levels of their sales organization. The building block of multilevel compensation is the leverage gained by reaching wider and deeper through the application of the management principles of selling (prospecting, presenting, handling objections, inviting the sale, supporting after the sale) and training (teaching others to duplicate the proven customer-prospecting and business-building techniques). As direct selling companies learn more about harnessing the power of the Internet to reach the world with their messages (product, vision, earnings, culture, etc. ), web marketing has become an integral part of direct selling. The greatest caution we extend to any who will listen is to never forget that direct selling is person-to-person, relationship selling, and that there simply are certain tasks that cannot be done through electronic medium. No electronic tool can compensate for the power of eyeball-to-eyeball expression, personal motivation that flows from deep within when in the company of like-minded people, and the personal, physical interaction that forges bonds of trust and loyalty. Many accept with light hearts that direct selling has a substantial number of “huggers,” people who hug when they meet and greet each other at live events and meetings. And, can this be bad for business? Of course not! The most powerful use of the Internet we have experienced is in the ServiceQuest® Recruit Builder System™ (RBS). This system combines cutting-edge web marketing that funnels searches into recruits, at the most basic level of human behavior. Whether your company uses the Internet to advertise and build brand awareness, to support reps with web offices, or leverages its reach to connect with those who are looking for what you have, the Internet is the most powerful direct selling tool second only to the live human being. At the fringes of direct selling can be found affiliate programs that compensate others for referring business to an e-commerce website. Time will tell whether companies effectively use affiliate marketing, although the evidence isn’t compelling. 180 days or less to startup? Can you really start and run a successful direct selling company in 180 days or less? What about all those people saying you need to build an MLM business plan and secure funding first? What about all those obstacles—the right Network Marketing / Home Party Software, the right name, the right compensation plan, the right legal entity and registrations, and so forth? 1. The world has changed dramatically in recent years and we all know it. Today, we can use online tools, information, contacts, and services to do things much faster than was possible just a few years ago. 2. When you look at the core elements of a new direct selling business, the actual tasks involved—just the real tasks, not the thinking, training, researching, and long-time deciding—don’t take that much time. Technically, it takes about an hour to register a name for your business and to become a legal entity. Setting up a location can take a couple of hours if it’s in your home, and as little as a few days if it’s in an office somewhere near where you live. Delaying decisions doesn’t make them any better. It’s true that not all businesses can go straight from the first spark of an idea to the full and complete execution in just 26 weeks. But many can. On one hand, you may not get product molds created, initial orders placed, and finished goods delivered from an overseas vendor in this relatively small window, but on the other hand, you just might depending on your experience and shortened learning curves. Many cannot raise millions of investment dollars in a few months, but then you may not need that much or you might already have the necessary capital. It’s also true that the essence of a direct selling company is not only its ability to scale and grow, but because it’s typically a cash-up-front business, much of the growth is self-funding. We put those two facts here because they show that the majority of new direct selling businesses are like the one you want to start, meaning they are manageable, focused, and ready for you to get going. So, with that in mind, here’s how it works! The timetables show how you go from where you are now to operational in just 180 days. And, our hats are off to our clients who have done it in less time while not cutting corners. The power, simplicity, and effectiveness of applying key business fundamentals to successfully launching and running your direct selling company are best experienced as experiences, in real time, with real situations in your real world. Necessarily, the guide must put the essence of this dynamic art of workflow management and personal productivity into a linear format. We’ve tried organizing it in such a way as to give you both the inspiring big picture view and a taste of immediate results as you step along the path. The knowledge and learning that you gain along the way will take you to new plateaus of confidence and accomplishment. Each will open the door to the next level of growth, and this pattern will continue far beyond the first recruit, the first convention, and the exhilarating first million dollars in revenues. We encourage (and expect) ongoing learning and development, and our approach assumes that you have (or will make) the commitment. In return, our commitment back to you will be to stay in the trenches to contribute and learn and share all that we can to help you to succeed. We find our success, our fulfillment, and—yes, our fortunes, when you succeed. As you seek out MLM consultingresources to provide you with advice on your business, you will likely talk with trusted advisors and friends in your circles as well as with others who are referred to you by your friends or whom you discover through your research and networking efforts. You may have an attorney, MLM consultant, or a general business consultant that you’ve relied on for other projects and with whom you have created a relationship of trust. We have found that the issues in starting and running a direct selling business are similar in many of the traditional business sense, but are unique and even peculiar in some ways. Pay close attention to identifying those issues that experienced direct selling professionals can assist with, particularly those who are dedicated to teaching you the principles and best practices so that you can make sense of the exciting (but sometimes unconventional) aspects of network marketing and home party marketing. Networking is a powerful way to discover the sources of support that have experience working with many direct selling companies like yours.